I've been following threads around the web relating to gymball setups for quadcopters that have created this year a new market opportunity within the RC world for what they call "brushless gimbal motors". 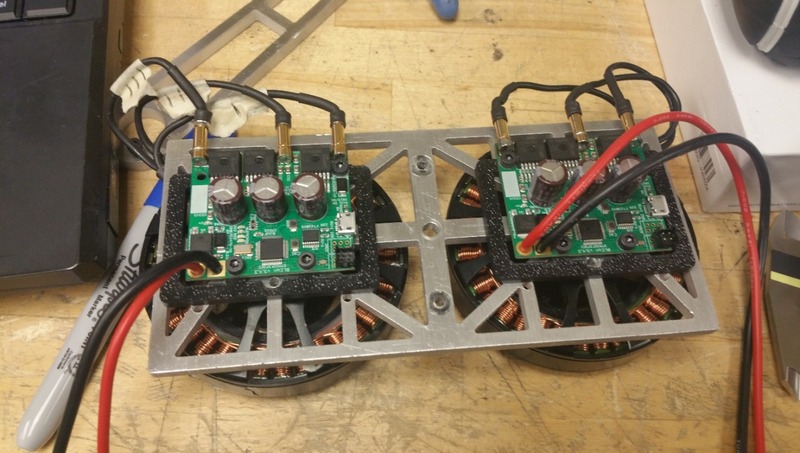 They are miniature versions of the pita motors used in electric bikes and bldc motors used in heavier electric vehicles. I'm wondering if these can be used as robot joints. 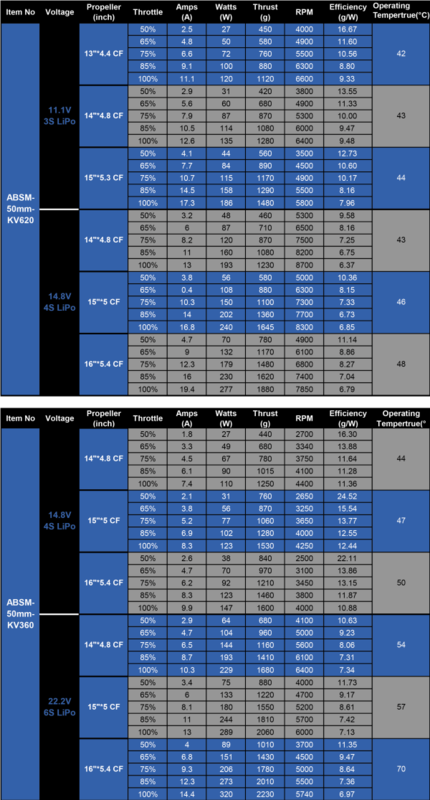 I've seen ones decently priced motors producing 5.5kg-cm and expensive heavy ones producing 10kg-cm. They are designed to stabilize and fight in realtime against serious vibrations driving a payload of 1.5kg cameras. As with anything in the RC hobby, there are no exposed useful measurements and tolerances. Most values exposed are not very useful for engineering purpose. 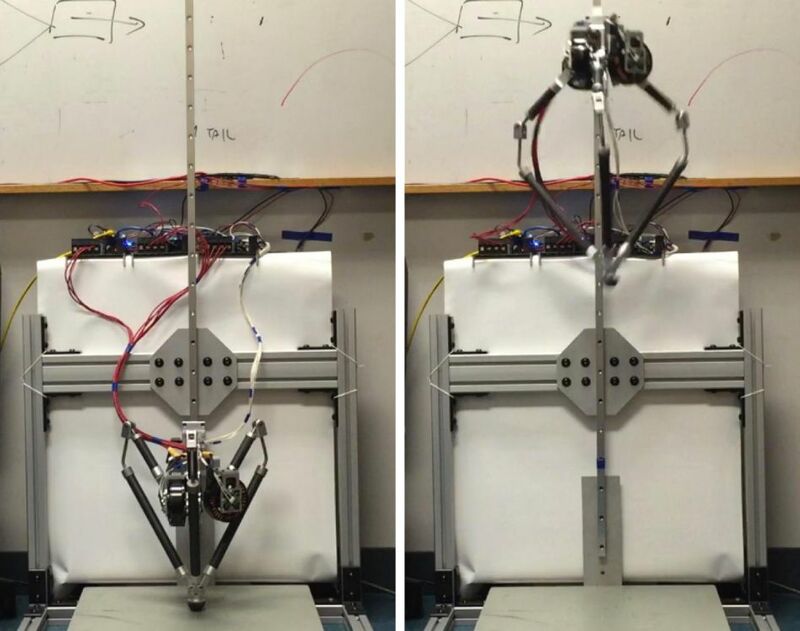 To actuate walking robot legs, the 5.5kg-cm can be multiplied by using a wire or belt and pulley ratio of 1 to X to create (a) decent amount of torque and (b) retain the no-backlash, direct-drive feature (c) get a nicer biologically inspired structure by hiding the motor in some other part of the body rather than having the pita motor in the knee. I'd love to hear opinions or experience with these motors from a robotic perspective. I've been playing with this concept too and I was a bit disappointed in the actual torque output with sinusoidal gimbal controller. From what I've read sinusoidal is not really the best strategy for maximum torque. My plan going forward is to build my own vector controller and close the loop with an ams magnetic sensor. If I can get away with direct drive by throwing radius and current at the problem then awesome. I think the real trick is going to be how do you cool such a beast. 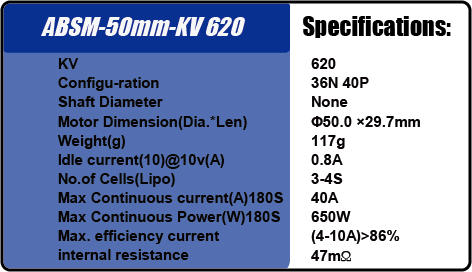 I'm trying to get my head around some of the parameters I see on the RC forums with regards to these motors. Do you know how these parameters relate to torque? When you say sinusoidal controller do you mean that the pattern of magnetic fields generated through the 3 wires linked to the burshless motor, are wave like (similar to the effect of a harmonic drive) ? 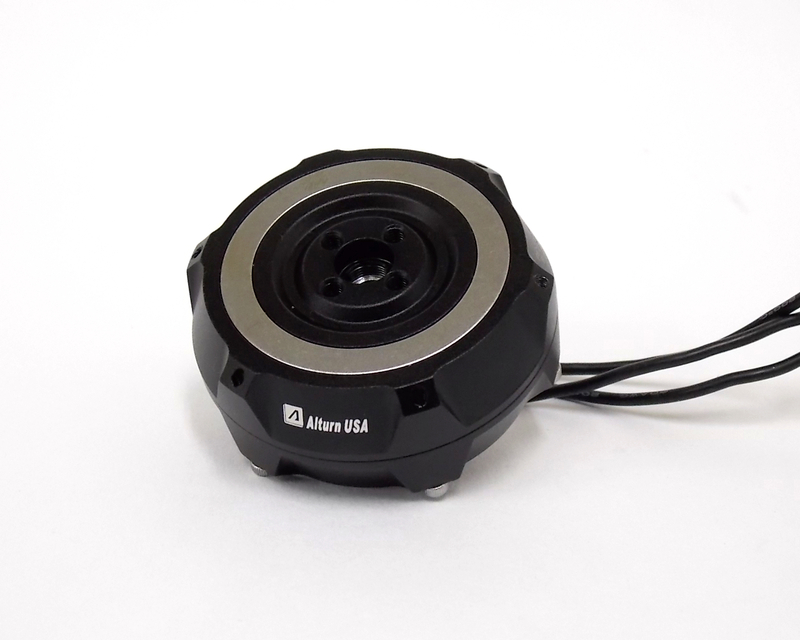 How can they do absolute position control of the gimal without a position encoder? the IMU has drift but I've seen videos of stabilized camera gimbal that run for 20 minutes. an IMU without any reference would accumulate enough drift on the XY plane that would be noticeable. I only have a few minutes right now, but.. When I said sinusoidal I was talking about the commutation scheme. Rather than "throw" the stator around with the magnetic fields it is trapped within it and is rotated via phase shifting. That's my rough understanding of it at least. 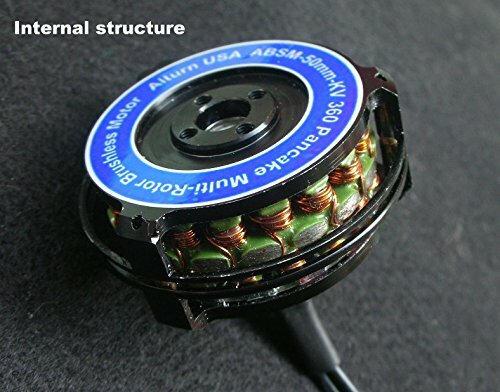 Because it is trapped you can move the stator to any position and without the magnetic cogging typically associated with brushless motors at low speed. As for not having an encoder they actually do. The IMU is what closes the loop. If the IMU has an accelerometer then it does have a pretty good absolute reference to correct towards as long as you're not constantly flying like a maniac. Also IMU's commonly have magnetometers now so they have access to a nice second absolute vector. Turns is how you trade off speed for torque. The more turns the less rpm/volt and the more torque. However to get more turns in the same volume you need thinner wire. At a certain thickness your wire no longer can handle the current. Using a STM32F3 controller and a hobby RC driver they managed to get enough power density to make the robot jump to twice its height. Maybe now thanks to this knowledge, the hobby community can start exploring small scale "big dog" style robots? Showing a running cheetah style 4-legged robot that uses BLDC servos can really blow some new life back into hobby robotics. I wonder if one or two Altron motors can make a leg jump 50cm up in the air with weight inclusive of 2 motors and other parts (this means leaving the ground at around 1.5m/sec). What are the other parts they used to create those legs ? maybe it can be implemented with parts used in delta 3d printers. Looks like the servos have great price/performance but people complain of quality issues. 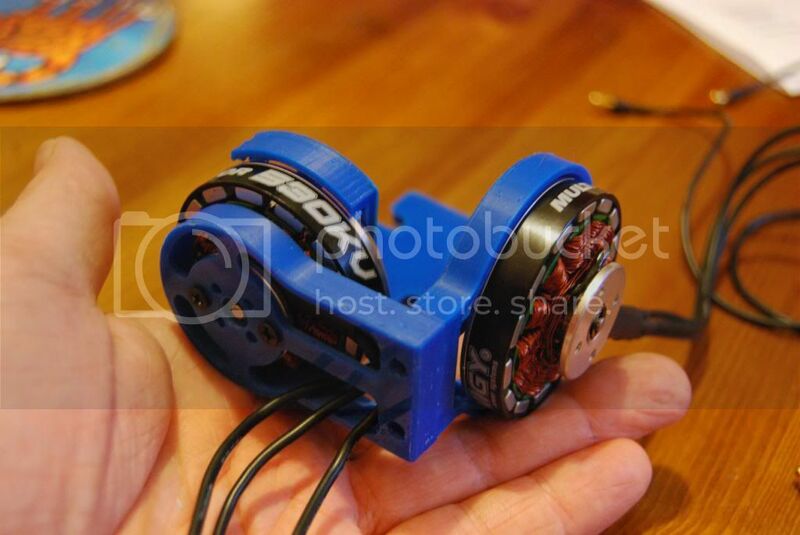 New startup web site Ghost Robotics will launch a quad legged gimbal motor direct driven robot with arduino compatible STM32 opensource software and Raspberry Pi native interface. I'm speculating that it may come in kit format and maybe they will choose to launch it on kickstarter although it is a bit pricey for a successful campaign. They need to get a good pre-order price for the Chinese motors. They achieved enough power density jumping 0.5m by cleverly tethering 2 motors per leg. That's ~$2k just in motors (the rest is ~$300 wholesale in machining, bearings, battery, electronics etc). The 8 encoder boxs look a bit bulky for magnetic encoder boards. maybe they use expensive optical encoders.. So the price will likely to be North of $4.5k. 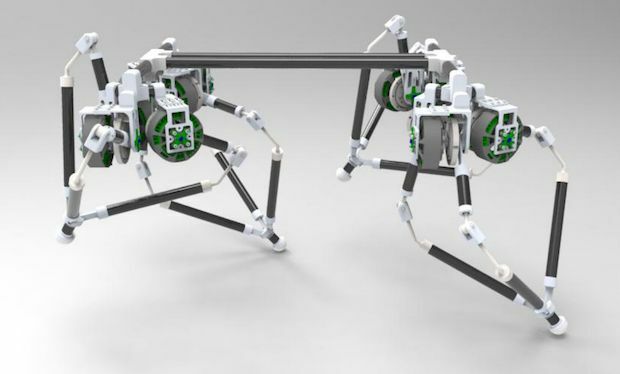 Ghost Robotics, LLC, a developer of legged, direct-drive (gearless) and proprioceptive robotics technologies, has announced the launch of its first direct-drive legged robot platform, the Ghost Minitaur. Founded by University of Pennsylvania PhD candidates, Avik De and Gavin Kenneally, Ghost Robotics is researching and building legged robots that it believes to be superior to wheeled and tracked autonomous vehicles in many field applications. The company’s underlying research and intellectual property have additional applications in surgery, lab operations, healthcare and advanced gait research. The company launched in October 2015 and is backed by the University of Pennsylvania and PCI Ventures, which incubate Penn’s leading research and innovations. “We are extremely excited to be launching our first commercial robot platform, Ghost Minitaur,” said Gavin Kenneally, co-founder of Ghost Robotics. 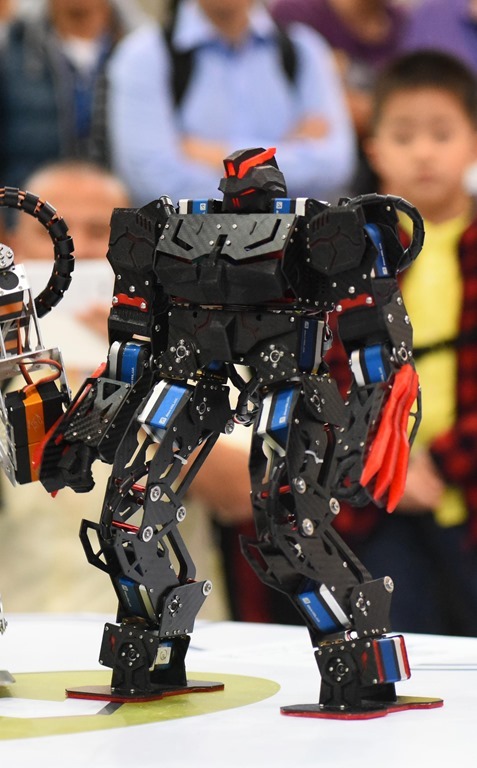 “This has been a long journey in the conceptualization and development of the robot, and we see many applications for the platform ahead and underlying technology,” added Avik De, co-founder. 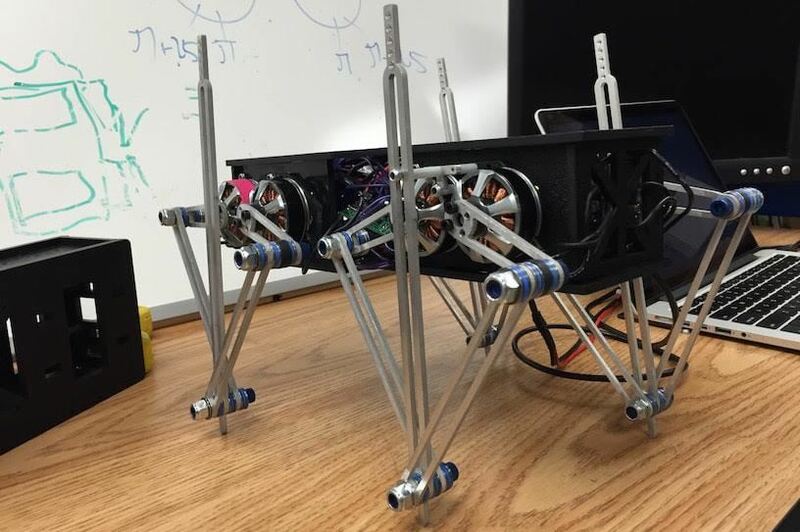 Ghost Minitaur is a medium-sized legged robot highly adept at perceiving tactile sensations. Its high torque motors, motor controllers, and specialized leg design allow it to run and jump over difficult terrain while actively balancing, climb fences, and rapidly reorient from falls. 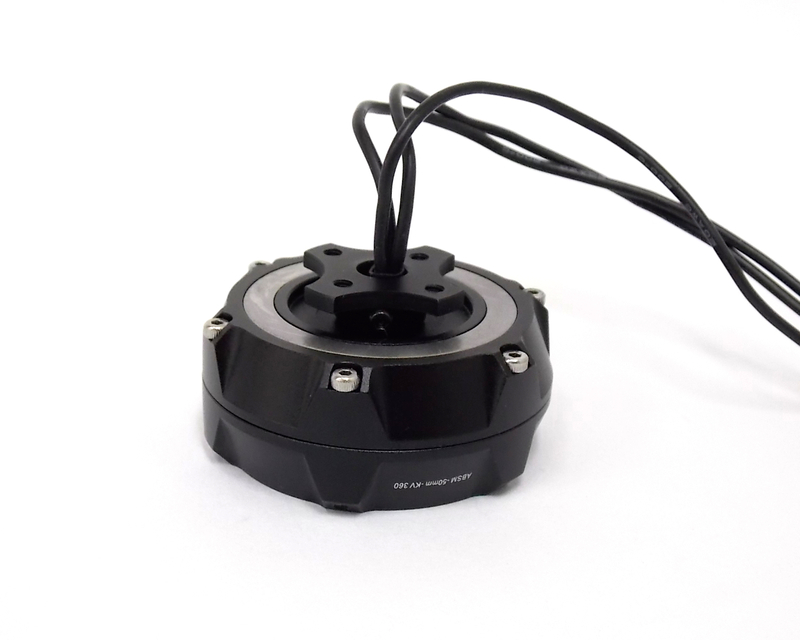 High-speed and high-resolution encoders let the robot see and feel the ground through the motors and adapt quickly. A key application includes deployment of Ghost Minitaur as an autonomous sensor vehicle for public safety, military, exploration, mining, agricultural and hazardous environment operation. 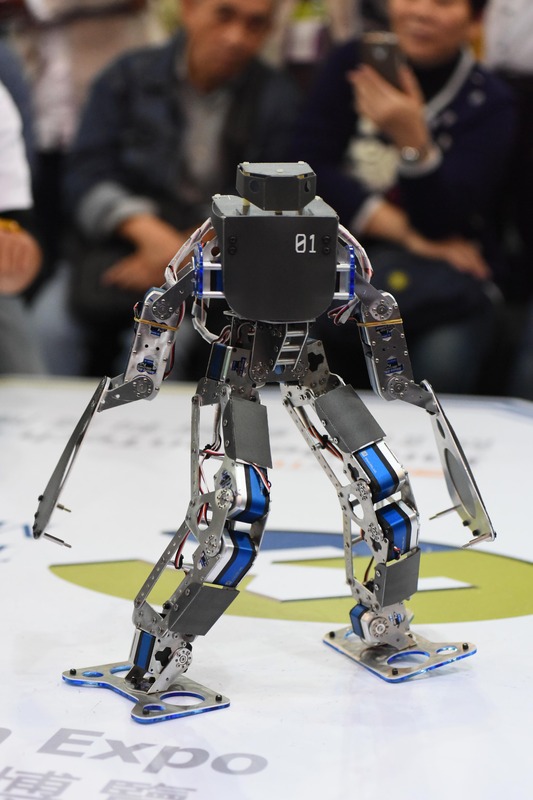 The robot can also be used in advanced gait R&D and can be programmed for a range of gaits (bounding, crabbing, walking, trotting), climbing stairs and fences, and even opening doors.